MolioApp: ChickenEggs 2.0 Released !!! 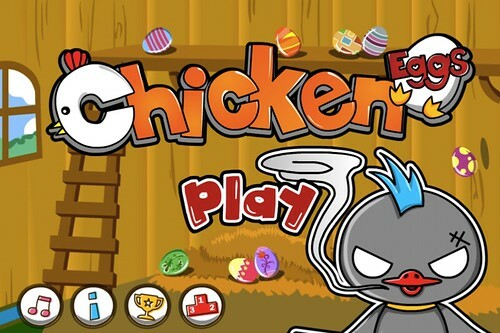 ChickenEggs new version 2.0 has released to Android Market and Apple Store ! You will get this update soon on Android, and several days later on Apple Store. After update to 2.0, you will get these features. ★ Sharing Your HighScores on Facebook and Twitter !! ★ New Bomb Mode !! You can de-active bombs !! ★ Adding Fantastic Effects with Egg Breaks !! Hope you will be happy with this new version !